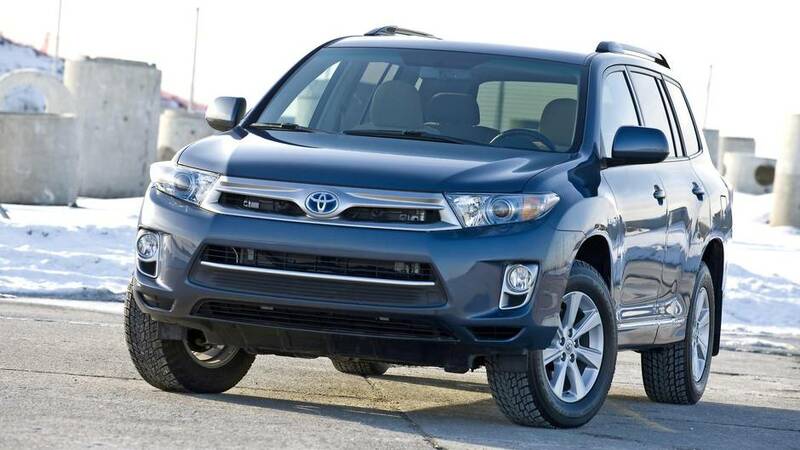 So, yeah, both the 2013 Pilot and Highlander were a little dull – but practical. They stuck around so long for a reason. Consumer Reports and J.D. Power said the Toyota beat the Honda when it came to used car reliability. For 2013, the Highlander was better than most and the Pilot was about average overall, according to J.D. Power’s dependability study. The Nissan Pathfinder and the Hyundai Santa Fe XL, both all-new for 2013, were even less reliable. Other options: The Buick Enclave, Chevrolet Traverse, GMC Acadia, Ford Flex and Mazda CX-9. If your friends and family are underwhelmed by your roomy, practical Highlander, wow them with its Australian and Japanese name – the Toyota Kluger. If that doesn’t work, tell them Consumer Reports gives the Camry-based SUV its highest rating for used car reliability. There was also a 2.7-litre four-cylinder engine, front-wheel drive version (with an average used price of $25,509) and a V-6 Hybrid with CVT ($32,264). There were two trims for 2013: base and Limited, plus a leather package and a sport package. The AWD V-6 comes standard with back-up camera and a power tailgate. For the swanky Limited, you may need to look at 2012, or earlier, to get it for less than $30,000. “While the Highlander’s third row is less spacious than that of some rivals, it’s easy to reach thanks to a nifty 40/20/40-split second row with a removable centre seat that facilitates walk-through access,” Edmunds said. If you’re looking for more room, Edmunds recommended GM’s trio of crossovers. 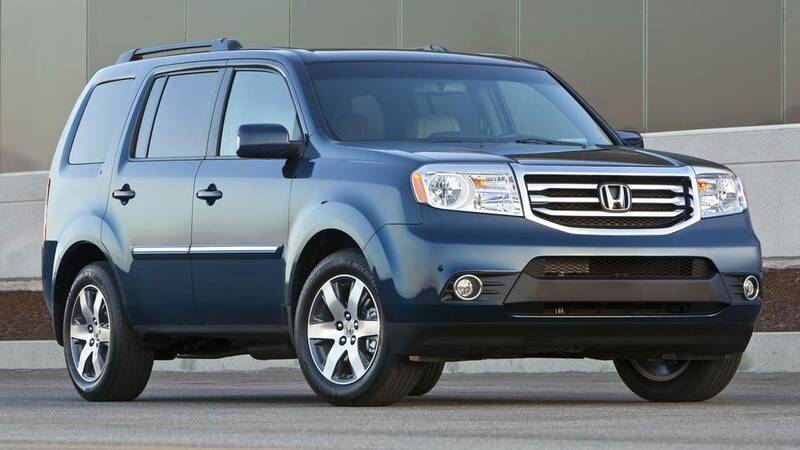 By 2013, the Highlander was getting long in the tooth – and was boxy compared to newer rivals. “But for many shoppers, the Highlander’s versatility and friendly disposition make it an ideal choice,” Edmunds said. In Canada, there was one recall to fix second row seats that may not firmly lock in their tracks. When Honda introduced the second generation of its popular-but-bland Pilot in 2009, it was bigger, better – and uglier. A 2012 facelift helped, but it’s still big and boxy – and that has advantages. Consumer Reports said the 2013 Pilot had average used car reliability. “The interior isn’t as well finished as those in some competitors, and braking and handling aren’t terrific,” the magazine said. The Pilot has four trims – the base LX (which also comes in fount-wheel drive), EX, EX-L and Touring. The LX has a rear-view camera. For leather and heated seats, you’ll need to go to EX-L ($32,360). In the end, it might come down to what you like best – if you like Hondas, you’ll probably like the Pilot. There was one recall to fix the driver’s airbag cover.